WE PROVIDE DIFFERENT COURSES FOR DIFFERENT NEEDS. We are flexible and responsive to the needs of our students. Great consideration is given to your goals and interests so that you learn the language that is most relevant to you. You can do a speaking course, join a standard or grammar class, prepare for an English language exam, get ready for a new job or university, improve your career English. The courses are delivered in small groups or individually thus ensuring a high level of personal attention and monitoring. 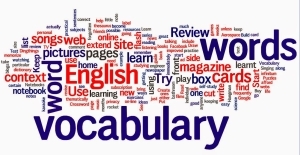 We conduct a detailed assessment of the participants' English language competence. We will ask you to take an English placement test before enrolling to find out your language level. You will also be interviewed to make sure you join the right class for your needs. We ensure that our students are constantly informed of the progress they make. We use a variety of different methods and materials to suit different learning styles.